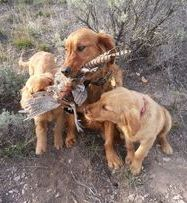 My breeding program is very straight forward: I am striving for betterment of the breed. 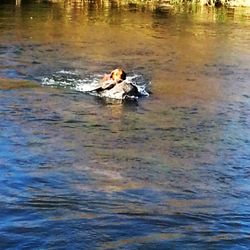 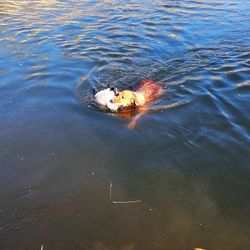 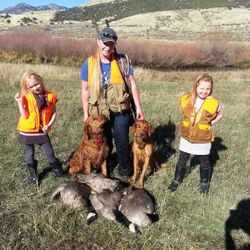 Dogs included in my breeding program demonstrate high retrieving instinct and prey drive, love of water, eager to please, and family compatible temperaments. 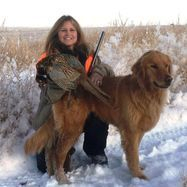 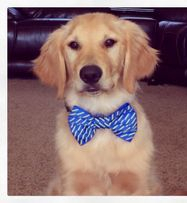 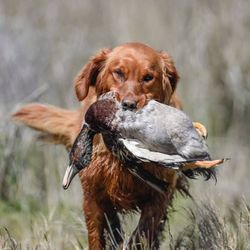 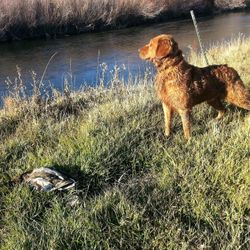 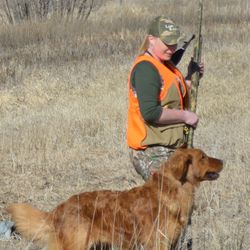 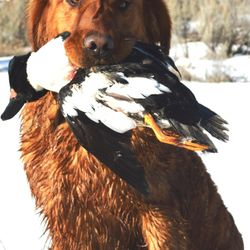 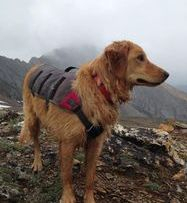 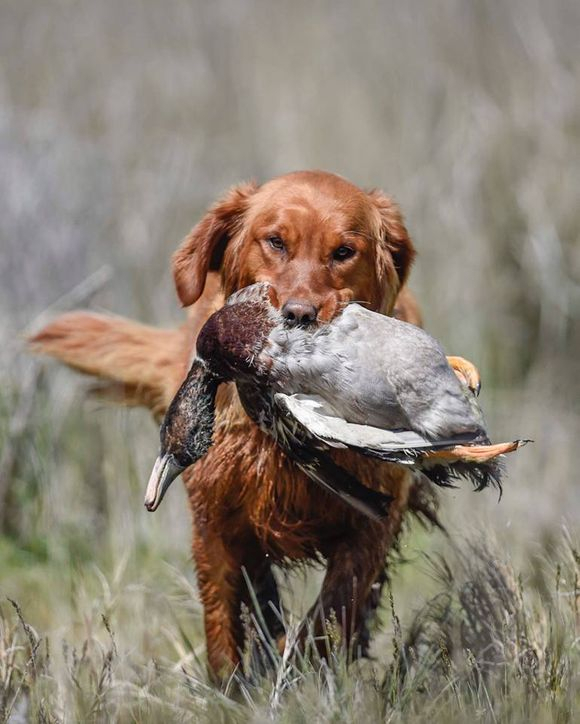 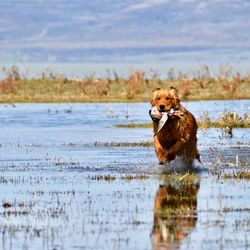 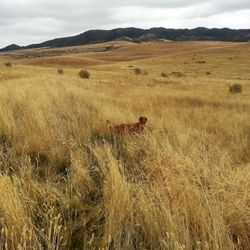 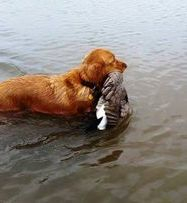 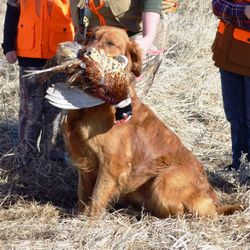 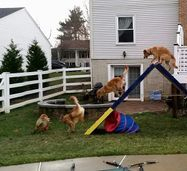 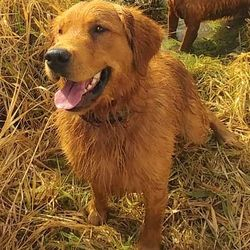 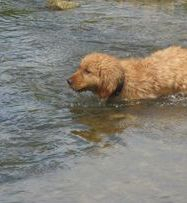 You may have noticed that "field bred" Goldens are nearly a dying breed now days. 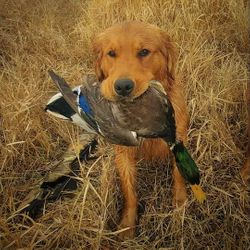 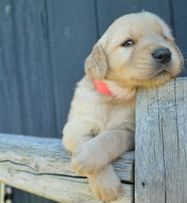 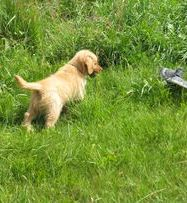 In my breeding program, I am looking to maintain and encourage the Goldens natural instincts and build what is inherited. 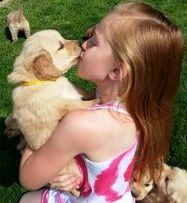 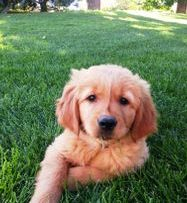 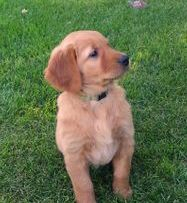 My family and I have owned Goldens for 5 generations now. 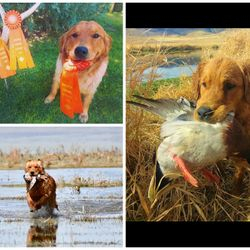 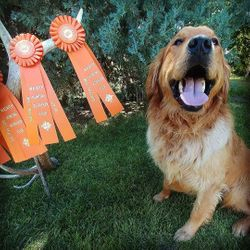 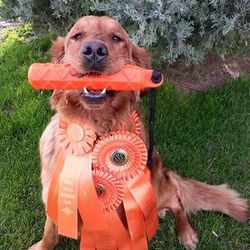 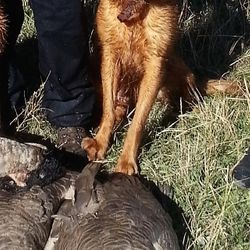 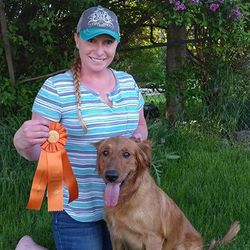 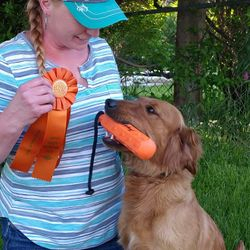 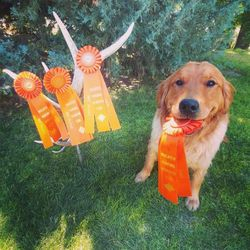 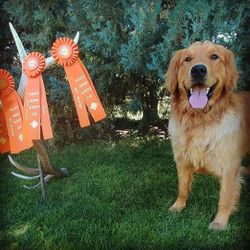 Huckleberry is currently recognized for his accomplishments by AKC with his JH hunt title. 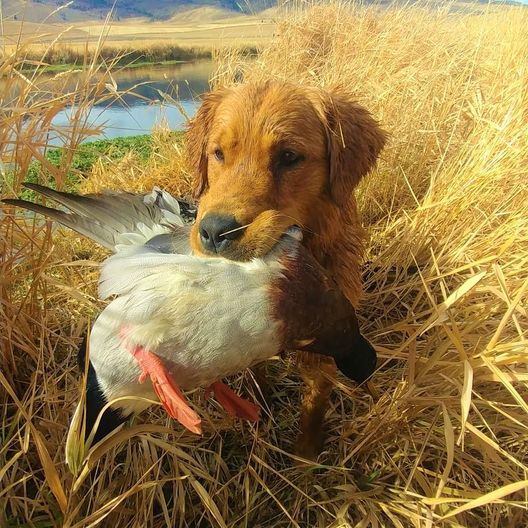 Huck is a great companion. 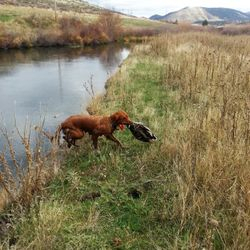 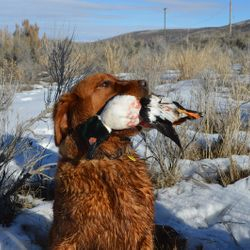 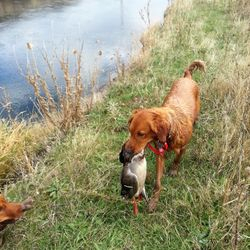 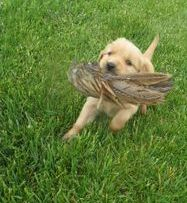 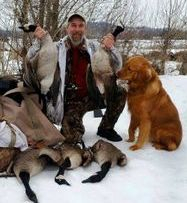 He has strong work ethics and loves being a bird dog! 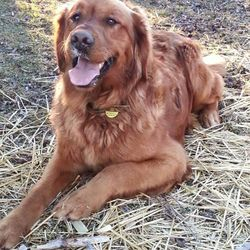 He is a true buddy and is a big gentle boy with a heart of gold. 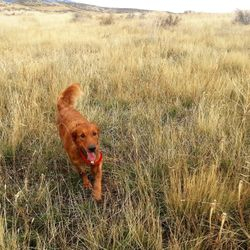 He will smile from ear to ear and has a great personality to match as evident in his photos. 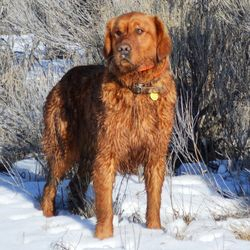 Huck comes from a long line of titled, proven working dogs. 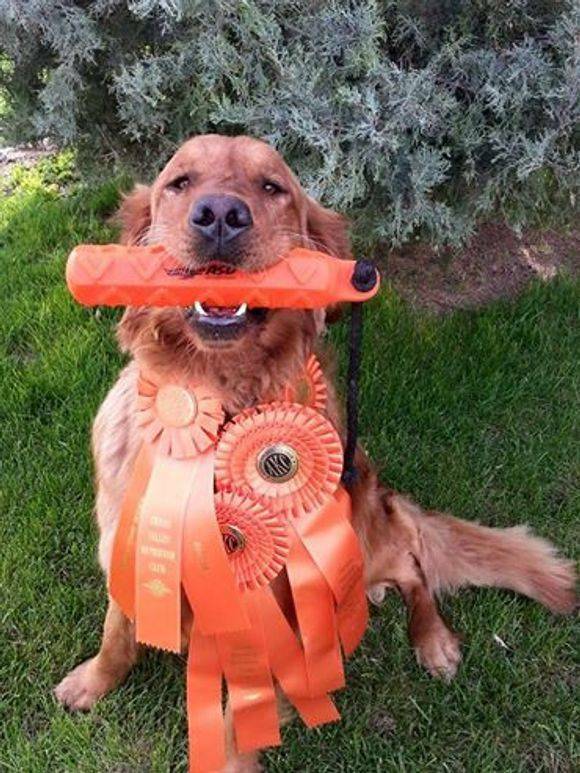 His pedigree is very impressive; stacked full of both America's and Canada's finest dogs. 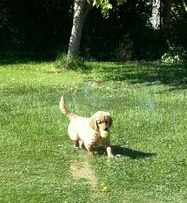 Lady is a dog bred & raised right here at Lish Kennels. 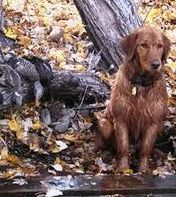 She is a Rusty daughter. 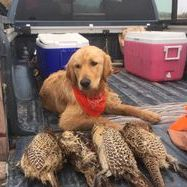 Lady has strong work ethics and loves being a working girl. 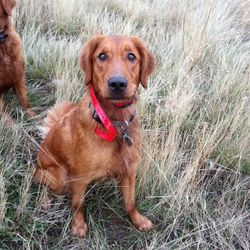 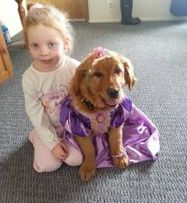 She has a can do attitude and a true golden temperament with a heart of gold. 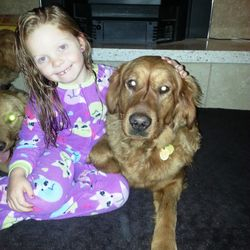 She is pictured above as a pup & then 1 year later! 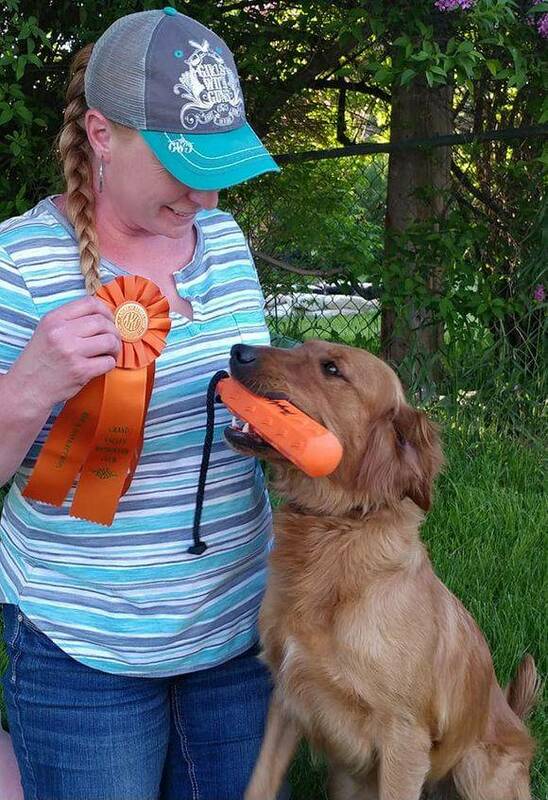 Lady is currently recognized by AKC with her JH title. 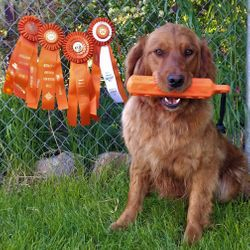 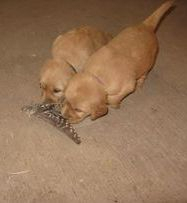 We are very pleased with all aspects of Lady including color, work ethics, & temperament.